For the first few days, I didn’t even know his name. 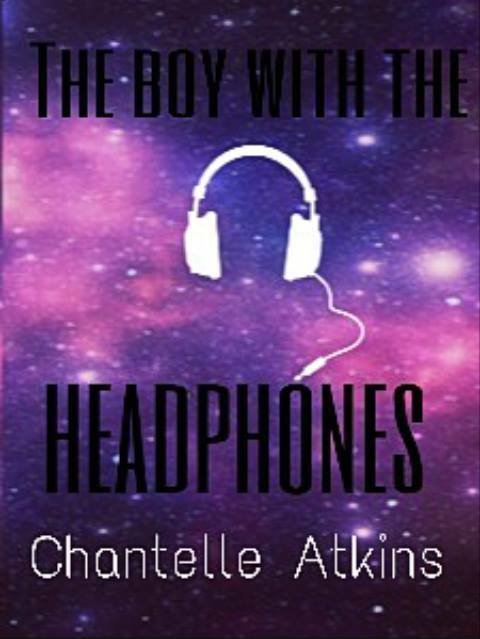 The boy with the headphones. He wore them all the time. Over his ears, or in class, around his neck. I can still remember the very first time I saw him, because I am certain that my heart stopped. Or if it didn’t, then time did. Everything slowed down. I think there was suddenly music in my head too, the way there always was in his. It was like we were in a film, not ordinary, muddy real life. It was just me and him. The rest of the school corridor blurred out, sounded out. He slowed down, and so did I. The boy with the headphones. Eyes down, moving fast. Moving through the crowd as if he did not even see them. His hair was long, and I saw this first. Perhaps it was the first thing that drew my eye. Because all of the other boys back then looked like boy band material. Curtains and short back and sides. Not the boy with the headphones, who marched through them like they were nothing to him. His hair was a dirty shade of blonde and my heart skipped a thousand beats. His hair was touching his shoulders, curled and tousled around his ears. It flopped over his face, shielding one eye, until he flicked it back, and that was when our eyes met across the corridor. That was the first time. When I did not know his name. When he was just the boy with the headphones. The new boy. Ear to the ground, I listened for gossip, soaking it up when it came my way, tucking my hair behind my ear to listen in. I was quiet back then, but popular. Of course, all the kids like me were popular. We had it easy, and I never really understood this until I met the boy with the headphones. The rumour mill went into overdrive that week. The new boy was a troublemaker. He came from the estate, just like the boy he fought in the toilet. His mother was a single parent, and looked like a model. He had long hair and angry blue eyes and he always had his headphones on. By the end of the week I knew his name, and the boy with the headphones had made friends with the boys from the toilet. Eyebrows raised and people smirked. I was an outsider then, thirsty for more information. All I could see when I closed my eyes at night was his face, and his dark blue eyes staring back at me accusingly. He always looked angry, like he was about to punch someone. I could stare at him all day, when he wasn’t looking. Those beautiful blue eyes with the thick black lashes. His face was hard angles and defiance. His lower lip was fuller than his top. I thought he looked like he belonged in a film, not here in my life, not in this place where everybody looked the same. I didn’t want to know about him, or think about him, but I couldn’t stop. I couldn’t stop looking at him. I kept him in the corner of my eye during class. I could feel him behind me sometimes. I could feel his eyes burning into my back. I wanted to turn around and smile at him, say hello, I’m Lucy. But I didn’t, because I couldn’t. I couldn’t open my mouth when he was near me. Looking back, those first few weeks were the easiest. Although at the time they felt like utter torture. Every night I pulled out my diary, lay on my bed in my house that overlooked the sea, and wrote about him. He brushed past me after Maths. His elbow bumped me as he walked past my desk. I was hot cheeked and mortified about a hundred times a day. I tried to avoid him, because that seemed safer. How could I be around a boy like that? A boy who made my heart skip and my mouth dry? Our eyes met in Science today. So embarrassing. I looked up, so did he. I looked down, then up and it happened again. But he has no idea who I am. The boy with the headphones was lost in music and life on the gritty side of town. He didn’t have time to make friends with people like me. We were from different walks of life. All I could do was watch him from afar and hear the things that were said. He wasn’t a dirty skank to me. He was a mystery that I wanted to unravel. But looking back, I needn’t have worried. In truth, we were always going to cross paths, again and again, until something happened. We were always going to dance this way and that, coming together and then breaking apart. The first few times we spoke, it was stuttering and shy. He gave me the first tiny glimpse that maybe, just maybe, he had been watching me too, waiting for me to speak to him. He called my name one day as I passed his house on the way to meet Zoe. Oh Zoe. So much of it was down to her! My best friend Zoe. The prettiest girl in school. She came from the other estate near school. Long blonde hair that looked dyed but wasn’t. Her lips pouted when she spoke. Her hips jutted to one side and then the other. Her backside swung when she walked tall in her white slingbacks with the cork wedges. The men who whistled didn’t care that she was thirteen, or fourteen years old. All they could see was who she would become. She was like something from a movie. And she was madly in love with Michael, and Michael was best friends with the boy with the headphones. We chatted briefly that day in front of his house. He wore his shirt around his waist and his small hard body glared back at me as I blinked in the sunshine. His was a dirtied tan, and his hands were oily. His ribs were bruised from his latest scuffle. He was cleaning cars to make things up to his mother’s boyfriend. That was the first time I had hope. Me and the boy with the headphones. Maybe one day I would get to hear the music too. What came next was our awkward, teenage dance. One step forward, then two steps back. I will never forget the day he took me on a proper date. My dad grilled him on the doorstep. It was mortifying. I could have killed him. But after that he took my hand, and we walked in silence. That was the thing about us. Our comfortable silence. He didn’t always want to speak, and neither did I. But one night at a party, I hugged him and told him I would marry him one day, and I meant it. I can still hear the music from that night. He was alive when the music played. He was the music. Nirvana on the makeshift dance floor. Four teenage boys going crazy. Flinging their hair about, headbanging and yelling the words that meant so much to them. After that, I watched his face when the music played, and saw the way his lips moved with the words. He always knew all of the words. Those were good times, but good times never last. Summer turns to winter, and everything changes. I tried to be his girlfriend, but it never seemed to happen. I couldn’t get close. I couldn’t break through. His mum had a new boyfriend and he hated this one more than ever. That was all I really knew, and it wasn’t enough. The rumours followed us back to school, and I saw the way that everyone looked at him, even the teachers. Especially the teachers. With pity and concern and suspicion. That term he changed so much. The boy with the headphones became a ghost. A fading figure we barely saw. I looked out for him every day. I would grab the window seat and train my eyes on the school gates. But he rarely came, and when he did, he was just as absent. His eyes guarded, his head even lower, but still with the headphones, still with the music that none of us could hear. Our story seemed to be over before it had even begun, until the day I saw him walking on the beach. I was sat there revising, my text books spread out on the sand. I saw him walking, and I called out to him and then wished I hadn’t. For a moment he just stared back at me, his hands in his pockets, and for the longest time I thought he was going to ignore me and walk on. He was wearing a suit, which looked so odd on him with his messy tangled hair. In the end he came and sat with me. He didn’t have his headphones that day, which made him seem sadder than ever. I leant into him, and wondered if that was too much, too soon. But he let me stay. And we watched the sea, and talked about where we wanted to go, what we wanted to see. Our story faltered, but it winded on in a ragged, haphazard fashion. I went to the beach the next week, and he did too. And the next week, and the next. We didn’t talk much, because he didn’t have much to say. Sometimes he let me listen to the music with him. Sometimes his headphones were broken and his neck was covered in bruises. Side by side on the beach, or lying on his bed in his room, I watched his face and listened to him breathe. He talked to me about music and songs. He was into everything. He listened to it all. He wrote the lyrics down if they meant something to him. We wrote love letters and I still have them all now. We used to write lyrics and circle them, circle the bits that meant the most. When the boy with headphones went away, the music died down. It all went quiet and none of us could listen to it in the same way again. I remember I went out that day and got his name tattooed on my hip, so that he would always be with me, always be part of me, whether he knew about it or not. Whenever I heard a certain song, out of the blue, on the radio, or in a pub, or a shop, I would stop and so would my heart, just for a moment, like that day in the corridor, like the first time our eyes met. I would have to fight hard to take a breath and carry on, with the music fading out behind me. Every song, every guitar riff, every drum beat brought him back to me with a crash. There was no escaping it, because the music was everywhere. It followed us about like a haunting. Although he was gone, he was with us every single time we heard a song. It was a punch in the gut, a knife to the heart, but it was also beautiful and wonderful. Every time we heard the right song, one of his, the boy with the headphones was with us again.